Problem: How do we get creative minds to feel like DDB San Francisco is one of the best places to start their careers by being an intern? 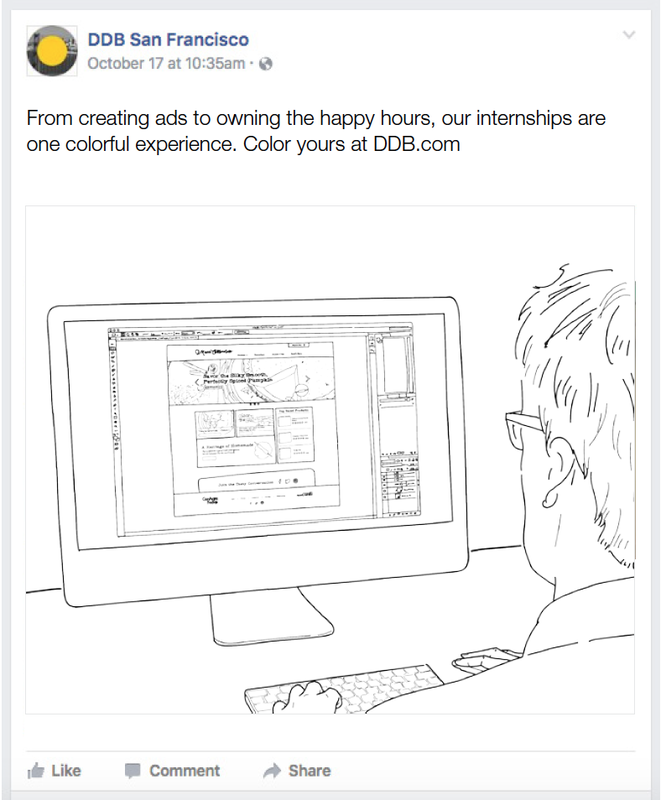 Solution: Create a coloring book that tells the story of being a DDB SF intern. This book will be passed out at recruiting events to help DDB stand out amongst the crowds. Social posts will promote the book and lead people to the application for the internship.